As the environmental larger works happen in the mid and lower catchment of the Almond, we tend to spend more time around these parts and less up in the upper catchment. We’re trying to do things a bit different and have the second round of our RiverRubbish project up here. The river is a bit different here, it’s narrower, straighter and often looks like something you could just hop over from a distance. But up at the top its also a bit tighter controlled and a bit less loved. With farming having pinned it in with banking on each side and channelised, which means it’s been made to be artificially deep and constrained. So, we defiantly don’t advised hopping over the river, actually from Scot’s experience on Saturday we would advise not wading in it either. He described it as been thick and difficult to walk in, this was partly due to mud and partly to the number of wet wipes lurking in the mud. 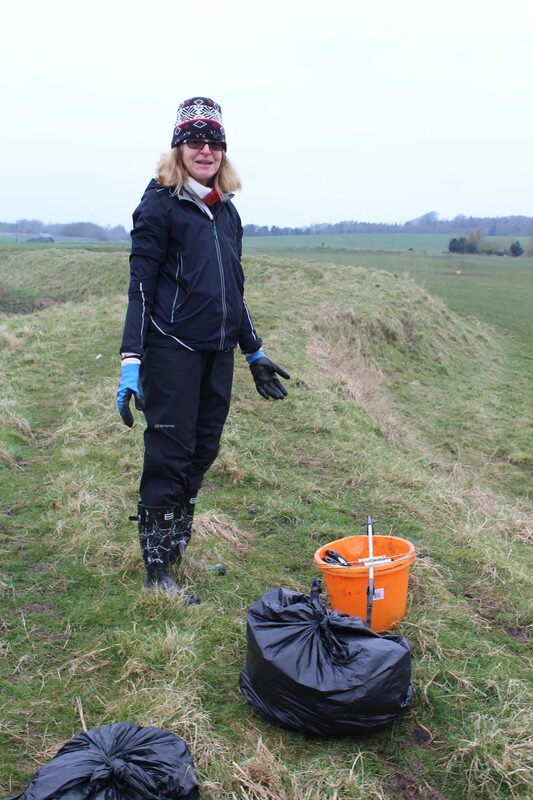 It was a cold, drizzly day meaning only 3 brave volunteers turned up to have a go at cleaning up the side of the river, which on first impressions looks like a relatively rubbish free environment. 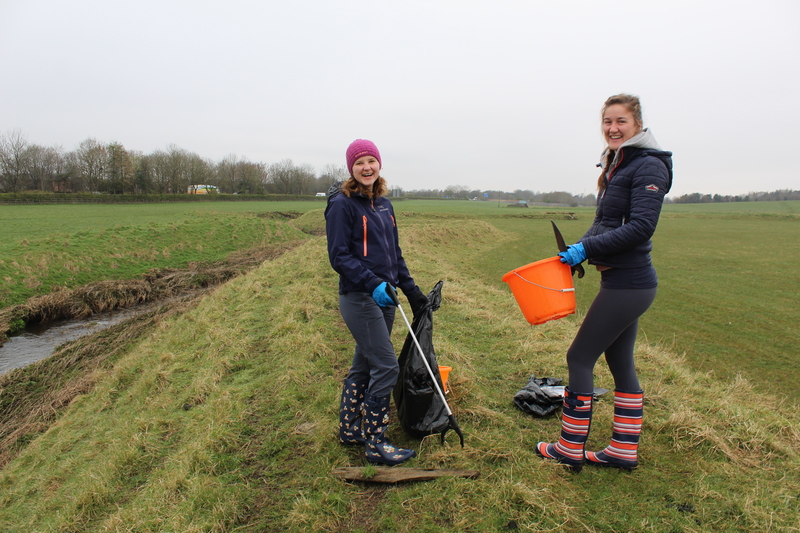 Jane, Chloe and Kathryne accompanied by Scot and Amy fished a highly diverse array of rubbish off the banks and out of the water. 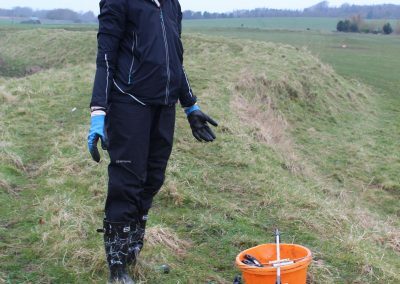 In just 2 hours they removed an astonishing 1,074 items from what looked like a not too badly polluted river. The source of a lot of this rubbish is likely to be Whitburn Sewage works, which overflows during storms, putting untreated sewage and material from road drains and domestic drains straight in to rivers. In 2017 this sewage works discharged 5.5% of the water it received into the river without treatment, this is a total of 389, 000, 000 litres or enough water to fill an Olympic swimming pool 155 times (this information came for a FOI via Scottish Water). The array of stuff that gets discharged is quite baffling at times and other times horrifying, although in terms raw sewage this is very dilute. Most of the things that stay solid are things that shouldn’t really be going down toilets or drains in the first place, items such as baby wipes, wet wipes, make up removing clothes and disposable cleaning cloths- as a lot of these are all or partially plastic. Others are people not thinking about what happens to these items when they flush them such as hair, dental floss, cotton buds and sanitary products. 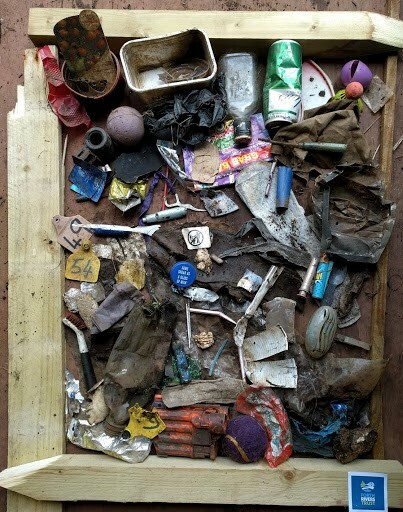 There’s also a good smattering of things that people have thrown in the river or else where outdoors, where it has then blown or been washed into the river- this is typical litter items you find in on land habitats too. The team will be looking for some more volunteer input over the next few weeks to help assess the issues the river Almond faces. While not the most glamorous of volunteering activities it is at least nice to know that the risk of that plastic wrapper meeting you on the beach at Cramond foreshore, breakdown in the ocean or wash up on the banks of the river and become part of the environment for centauries- it is at least a day spent volunteering that makes a difference.